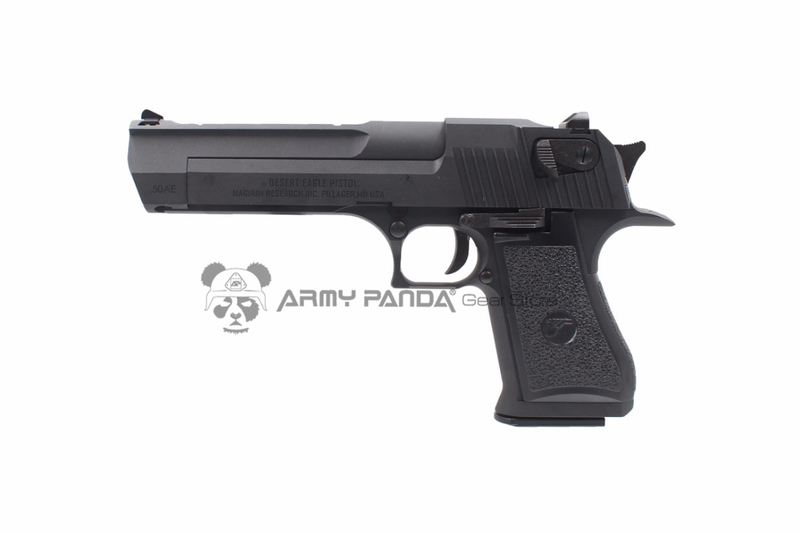 This WE Desert Eagle GBB Pistol is fully licensed by Cybergun, engraved with realistic markings. Strong recoil spring. As seen used by Agent Smith in the movie The Matrix. Click the button below to add the Cybergun WE Desert Eagle .50AE GBB Pistol (Black) to your wish list.